Software … powerful tools for your research & development! 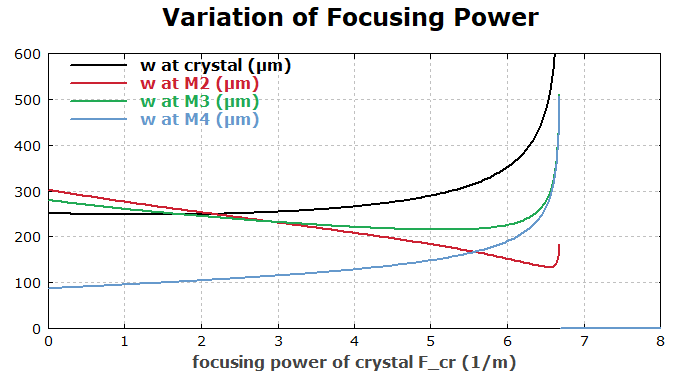 The mode radius in the laser crystal should be 250 μm for dioptric powers between 0 and 3 /m. The mode radius at mirror M4 should be 100 μm for the dioptric power of 2 /m. The total resonator length should be 300 mm. Below we plot the result of the optimization. The design goals are met with reasonable precision.